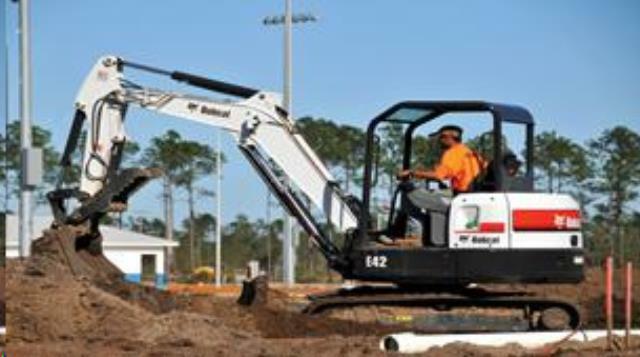 The Bobcat E42 compact excavator (mini excavator) minimizes ground disturbance and excels at bulk excavation tasks. The conventional tail swing offers improved dig depth and reach. It's also easier to move your machine through tight spaces such as doors, gates, and onto trailers. * Please call us for any questions on our excavator bobcat e 42 w/thumb rentals in Durango CO, LaPlata County, Mancos, Ignacio, Cortez, Bayfield, Pagosa Springs, and Silverton CO.